Submitted by Simon Coleman on Tue, 24 Nov 2015 - 20:45. We will be holding the last volunteer day of 2015 on saturday 5th December. 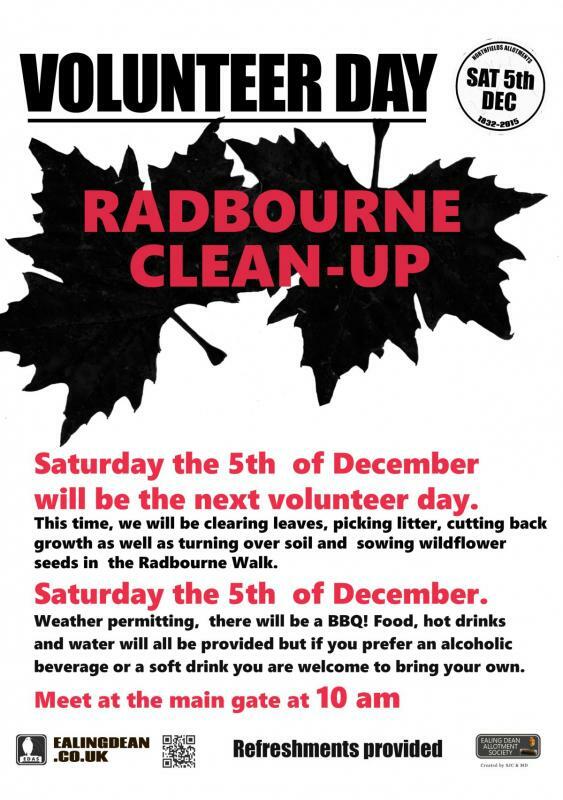 We will be working on the Radbourne walk, cutting back the plant growth, sweeping up the leaves, and giving it a good tidy up. We will meet at the main gate in the allotments at 10am. There will be a BBQ and the end of the working day around 1pm.